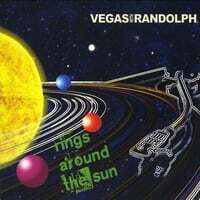 Vegas With Randolph-Rings Around the Sun. The Mid-Atlantic region's answer to Fountains of Wayne returns with its third full-length album, and much in the manner of their previous release Above the Blue, the new album consists of singles they've put out in the interim plus several new tracks. This time around they've enlisted the help of power pop luminaries such as David Myhr (Merrymakers), Andy Reed (An American Underdog) and Brandon Schott and the result is their strongest disc to date. Opener "You Set the World on Fire" sets the album on fire with some classic-sounding power pop, "Salt Water Taffy" and "Cool Things" draw the FoW comparison in stark relief as everyday pleasures are turned into pop odes, and "Everybody Wants an Atom Bomb" somehow condenses the last 75 years of US geopolitics into 3 1/2 minutes of catchy-as-hell power pop. Elsewhere, they write about stuff that interests them: "My Lost Colony" is ostensibly about the lost colony of Roanoke that was the basis for a recent Sleepy Hollow episode, and who doesn't love a "Snow Day"? And Myhr, Reed and Schott lend their talents and harmonies to the anthemic title track. One of 2013's best from a band that just keeps getting better. Roseland-Roseland. This Greensboro, North Carolina band isn't strictly power pop; rather, they're highly melodic folk/rock, alt-country, Americana, whatever you want to call it. But if you listen hard, you can hear some Teenage Fanclub in there if it makes you feel better. Regardless, those who love a good melody with sweet harmonies will want to check this one out. "Plans to Ride" is a brilliant opener with its "fell in love with a rolling stone" refrain and jangly melody reminiscent of The Jayhawks or CSNY, and "Long Hard Way to Fall" sounds like a lost Gary Louris/Mark Olson collaboration. Meanwhile, "In Between" could almost pass for one of Alex Chilton's more acoustic-leaning early Big Star tracks, and "Nice Place to Go" is lovely in its simplicity. As far as I'm concerned, this is the best album of its type I've heard all year, and if you pop leanings take you to the folk or country side at all, this is a must. Sheboygan-Triple Fantasy. Austin, Texas's Sheboygan (no, they're not from Sheboygan, Wisconsin) return with their first record since 2008's It's OK Say Yes, their third (hence the album title). In large part they pick up where they left off, serving up another delicious disc of power pop. Opener "Needle Hits the Groove" is classic power pop in the style of The Rubinoos and The Singles, while the midtempo "Come Back Around" recalls Badfinger with a touch of Jellyfish. With 14 tracks in all, they mix and match quite a few pop styles - the raved-up "1000 Eyes", the jangle-pop of "Minutes Last Forever", and the Brian Wilson-esque piano ballad "Morning Sea Waves" are just a few of the varieties in play here. These guys know their way around a tune, and there's something to like her for everyone. 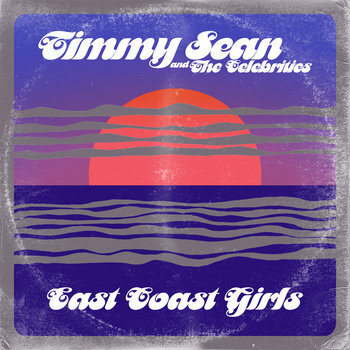 Timmy Sean-East Coast Girls EP. Ex-Luzer frontman Timmy Sean made quite an impression in 2010 with Music From & Inspired by Noisewater, which placed at #5 on my best-of list that year. East Coast Girls is his first proper release since then, and it's five blazing tracks of put-the-top-down (or at least roll the windows down) sunny, high-energy pop that might be what Fountains of Wayne would sound like if they hailed from California instead of New Jersey and were a bit less smart-alecky. The title track and "She's Mine" are certainly in FoW form, which their infectious melodies, crunchy guitars and insistent synths. "This Time Around" and "You're Still on My Mind" are highly melodic and rocking as well, and closer "Back to the Middle" deviates from the formula ever so slightly, which throws a lively sax and some "shoo-be-doo-wah" backing vocals into the mix, making it perhaps the most fun track on the EP. While maybe not quite as inventive or flat-out awesome as Noisewater , any new music from Timmy Sean is a good thing and nobody will regret adding this EP to their ocllection. 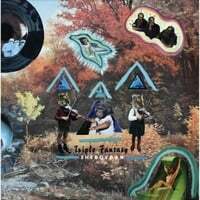 The Tor Guides-Lots of the Pops Volume 1: Caught in a Sweet Refrain. After about a 5-year absence, The Tor Guides came back late last year with the wonderful Strawberries & Chocolates. 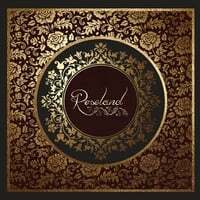 The warm reception to that release must have inspired them to come right back less than a year later with another album, albeit one with a convoluted title. If nothing else, the title does pass the truth-in-advertising test as there's lots of pop here with sweet refrains, and fans of other Swedish popsters like The Merrymakers and The Tangerines will enjoy this collection. Whether it's driving power pop numbers like the 1-2 punch of "Dynamo" and "Things We'll Do Today" to open the disc or the more reflective "If I Didn't Love You" and "Apricot" or breezier pop tracks like "All About the Loving", the Guides find a way for the melody to shine through. And the poptastic "Happy" will make you just that. We're into fall now, but this is a perfect summer album. 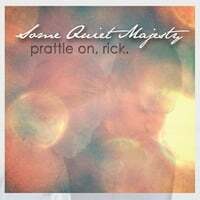 Prattle on, Rick-Some Quiet Majesty. Another new release that lives up to its title is the latest EP (or at 8 songs, a "mini-album") from Patrick Rickleton and friends. Prattle on, Rick has become perhaps my favorite folk-pop artist these days as Rickleton continues to weave gorgeous acoustic-based melodies which achieve, yes, a kind of quiet majesty. The ethereal "Day 1" sets the mood, followed by "Hope & Promise", a wonderful lived-in track buoyed by strings and a light sax and which sounds like a undiscovered classic. Elsewhere, the upbeat "Jennie" will warm the cackles of the most hardened stoic's heart, and the jaunty "Your Dreams Will Always Follow" could be the long-lost descendant of "I've Just Seen a Face". It's always a treat to come across an artist that gets better with each release, and I hope that Rick keeps prattling on. Some Quiet Majesty by prattle on, rick. 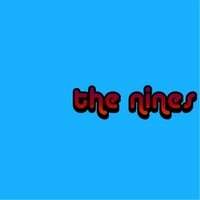 The Nines-The Nines. The Nines are back! Their self-titled latest is their full album of all-new (well almost all-new, as "Jack McGee" was on their CQDZ Transmission Files EP many years back) material since 2007's Gran Jukle's Field. Steve Eggers & crew once again deliver their ELO-meets-1980s-Moody-Blues power pop, although this new one isn't quite the genre-hopping affair Gran Jaukle's Field was. Opener "Blackout" is a blast, with fake crowd noise and a funky backing that builds into a quintessentially Nines chorus and it's following by "Far Away" a driving piano-based number that channels Ben Folds. Meanwhile, the garage riffs of "Jackie Smokes" and the Bleu-like "No More Time" add to the fun. Elsewhere, "Don't Worry Misery" and "Martin" are in the spirit of Eggers' classic piano ballads, and the jaunty "Seasons" recalls The Red Button. Odds are if you're a reader of this site, you already know The Nines, so if you haven't picked this one up already, run - don't walk - to your nearest online retailer. Bohemian Radio-On the Air. 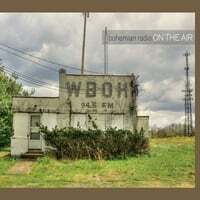 Bohemian Radio is Brooklyn's Brett Stratton, and his debut here (billed to be the first in a series of releases) is a loose concept album about a fictional radio station, WBOH, that plays a variety of genres from rock to pop to Americana. After an acoustic intro number and a station ID, we get the Replacements-style rocker "About Nothing", built around a nice guitar riff and followed by the midtempo "The Sky Was Brighter", which sports a memorable chorus. Other standouts include the moody power ballad "Sincerely", the banjo-backed "Summer Friend", and the Cheap-Trick-meets-The-Ramones straight-ahead power pop of "Fan Club". The album closes with the wonderful "What Have You Done? ", a wistful ballad with a lovely melody, and "WBOH Signing Off", a hypnotic electro-rock number that repeats the station's call letters. Stratton shows quite a bit of potential here as he masters multiple genres but never loses sight of the hooks, and I look forward to his next installment.